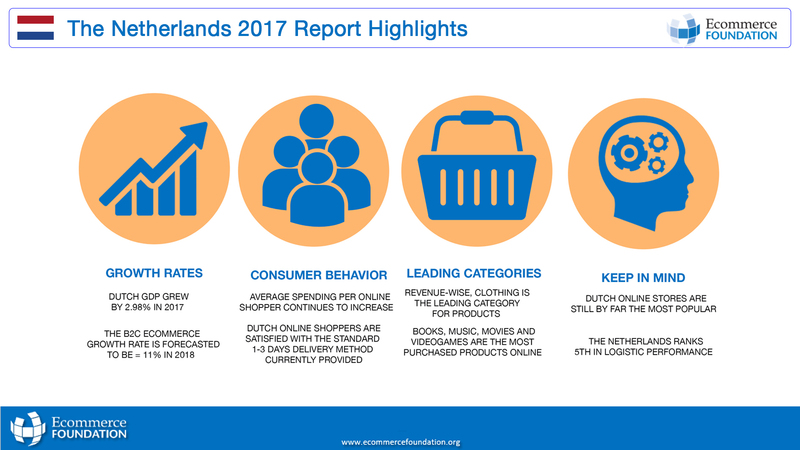 The Ecommerce Foundation marks the launch of our first 2018 Ecommerce Report on the Netherlands. In total, the Ecommerce Foundation will publish 23 Ecommerce reports including the European ecommerce report, the global report, top ecommerce country reports. 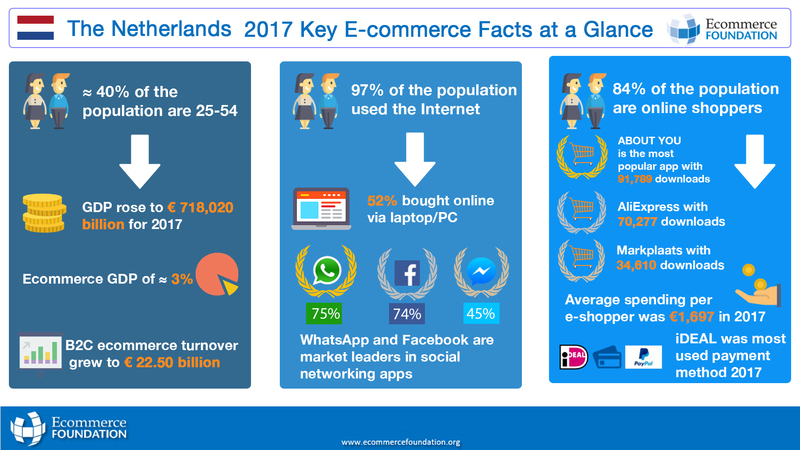 This extensive study about the Dutch ecommerce market, illustrates the fact that this rather small country has a strong logistical infrastructure and a healthy and growing economy. It also showcases consumer behaviour, consumer trends and interviews with leading retail & logistic experts. The B2C ecommerce turnover grew to €22.50 billion, pushed along by a growth rate of 13%. This is set to rise in the coming year, with forecasted turnover of just below €25 billion and a growth rate of 10.87%. The amount e-shoppers are willing to spend has increased substantially in the last year to now over €1,500 per shopper, illustrating the growth potential in the ecommerce space. 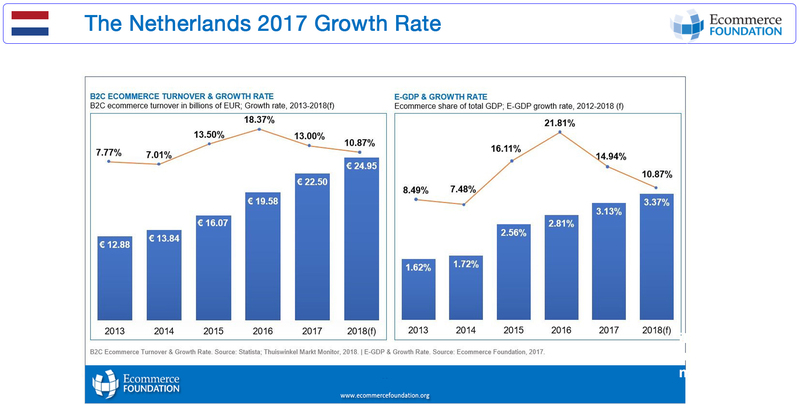 Clothing is by far the largest revenue earner for e-retail revenue in the Netherlands (€2.29 billion), whilst the largest growing sector in terms of products was ‘Health and Beauty’ in 2017 (+46). Regarding services, Airline tickets and accommodation come out on top, having taken in around €3.34 billion in 2017. When it comes to social media, WhatsApp and Facebook are the market leaders in the Netherlands, however, for the first time Facebook experienced a decline in use from 79% in 2016 to 74% in 2017. When it comes to spending on a purchase via social media, 35-44 year olds will spend the most (€78.00). Surprisingly, the top two shopping apps for iPhone users are ABOUT YOU and AliExpress. Although much of the Dutch population is bilingual (particularly in English and German), when looking to buy online, online shoppers overwhelming use Dutch webshops (95%), with only 34% doing so from other EU countries. 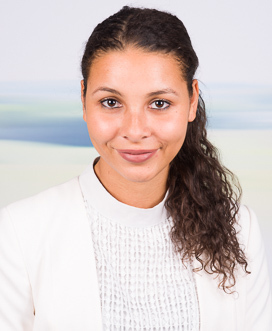 Although usage of social media and marketplaces is prevalent amongst Dutch consumers, almost half stated they felt fairly or very uncomfortable with the kind of data collection generally associated with using these platforms.